I love Design of the World. I love everything from the format of the website itself to the sometimes campy wit of the individual posts. The idea is simple - the blog is a curation of design of all types from all over the world. While the layout of the page places individual posts mixed together, you can choose to look at design specifically from Oceania, North America, South America, Asia, Africa, or Europe. One post recently had me thinking I needed to come up with $1000 immediately in order to buy a kayak. 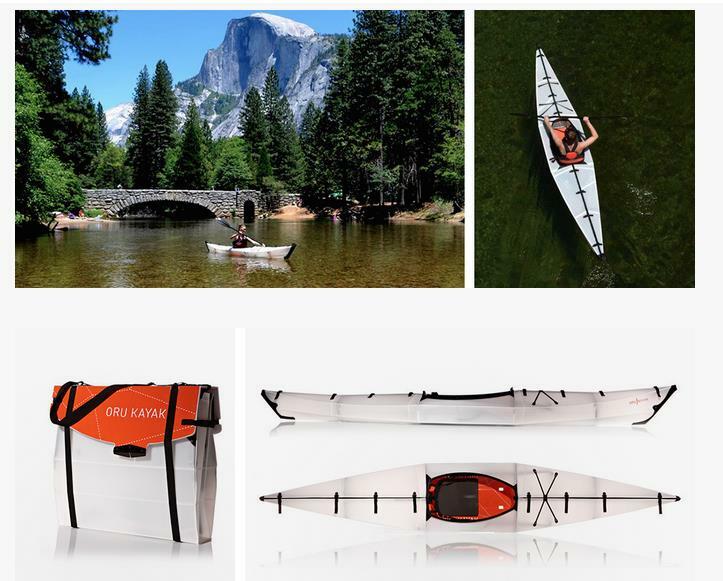 Hailing from San Francisco, Oru Kayak has designed a collapsible kayak that folds up to become a messenger bag. Yes, it exists. Design of the World keeps it simple with two short paragraphs explaining the product, a link to their site, and some clean images. Design of the World has posts ranging from small home products to installations to quirky hidden places of the world. 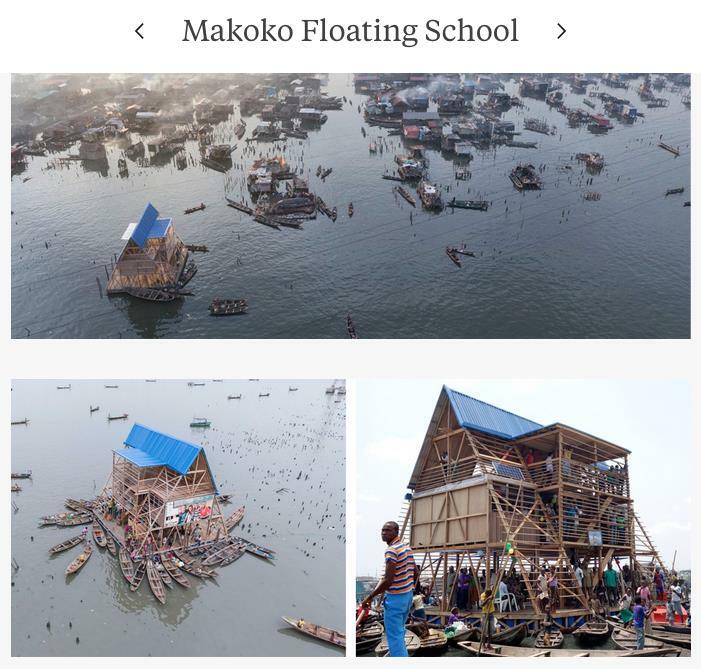 Another post I recently saw was about the Makoko Floating School. Designed for a water community in the city of Lagos, Nigeria, the Floating School aims to meet the educational needs of an expanding population while addressing the very serious risks of flooding. Designed by the urban planning team at NLE, the Makoko Floating School adapts to tidal changes, but is also highly self-sustaining, using renewable energy, recycling waste, and capturing rainwater. Needless to say, I have spent hours on Design of the World. Maybe days. More than that, I have spent hours link chasing on pages that all trace back to Design of the World. Be careful, the endless scroll homepage might be a danger to productivity, but it might just be the break you need.